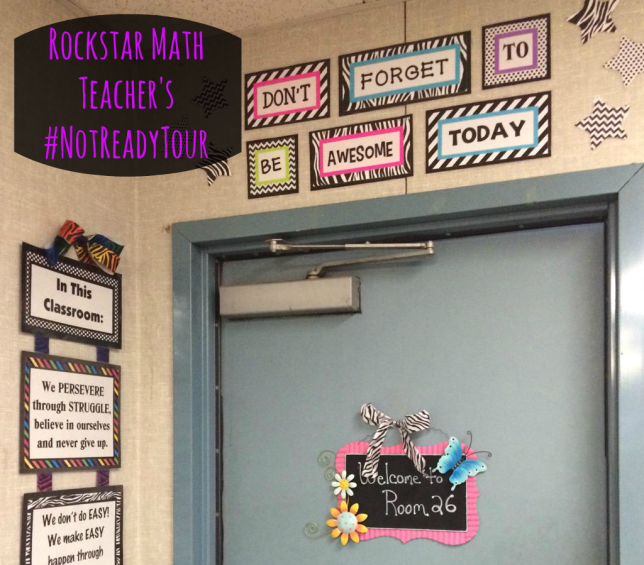 Rockstar Math Teacher’s Growth Mindset #NotReadyTour – Discover OklaEd! Rockstar Math’s growth mindset math classroom kills me! First of all, I appreciate a fellow teacher who likes natural light. Then let’s talk about her walls, they are full of stylish inspiration without being cluttered. I know this is the #NotReadyTour, but she looks ready for students to me! Please check out her detailed blog posts here: http://rockstarmathteacher.blogspot.com/search/label/My%20Classroom. Be sure to click on her images for the full size.